Wolfe Design House: Thanks Two Ellie! 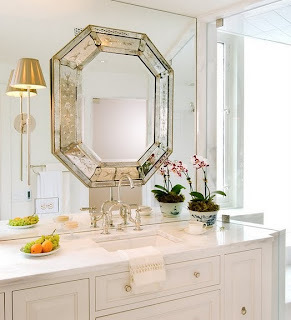 I love this bathroom and kitchen posted on Two Ellie's Blog. The bathroom is so minimal and clean with just a cup of coffee and fruit- what a wonderful room to wake up to. 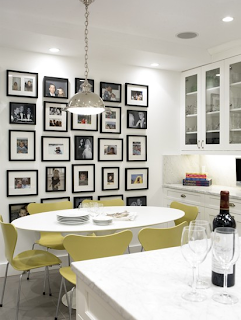 This kitchen is traditional with marble and white cabinets but the gallery of frames and yellow pop of color adds modern drama. Love it.